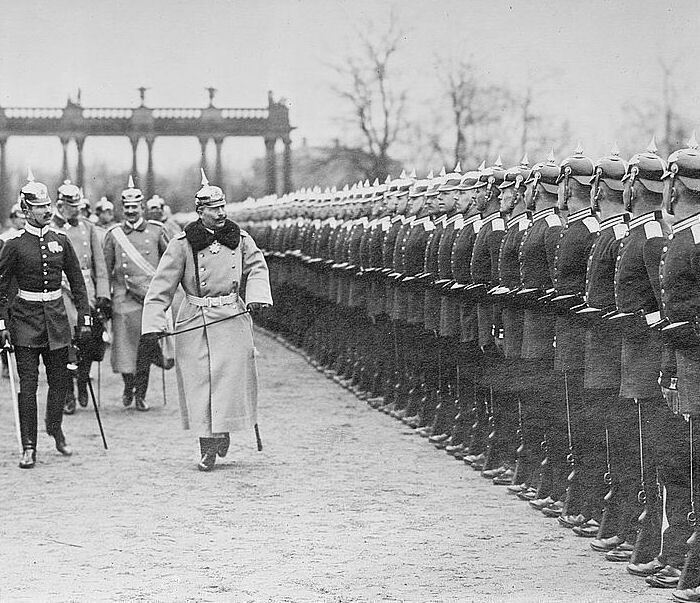 Kaiser Wilhelm II reviews his troops. With the assassination of the Archduke Franz Ferdinand on June 28th 1914 by a Serbian terrorist it was clear that these Serbians had to be taught a lesson. The Austrian-Hungarian Empire under rule of the aging Franz Joseph I gave these Slavic pests as most Austrians where calling them now a ultimatum to accept or war would be declared. Whilst the Diplomats where 'fully engaged in a cockfight with fancy words thrown at one another' one German military official said, more pressing matters where developing in the field as Russia was mobilizing to help Serbia if it came under attack by our ally the Austria-Hungarians so the Kaiser ordered the German armies to prepare and mobilize as well for war against Russia. Many plans where made by the German Generals and played out in wargames in order to keep the military staff up to speed in case a real war would break out and what would be the best option to attack our enemies with. German General von Moltke chief of the German army favored a plan which would commit most of the German forces against Russia to give them a knock out blow and to help the Autrian-Hungarian forces who may then commit fully on their Serbian campaign. However with the knowledge France would come and help their Russian allies would eventually if not right after the German declarion of war against Russia declar war upon Germany perhaps a more bold move based on the plan made by von Schlieffen was in order to make sure the German western front would see a swift mobile conflict which would knock France out of any further military operations and thus making it able for the German to fully put their efforts against Russia. This would mean the Austrian-Hungarians had a plan too, which they didn't or well they wheren't sure where to commit their forces to which front would take priority. In simple terms followed by a thundercloud full of German profanity from the German Military staff they wheren't prepared for war at all. This ended up with the German high command going with Moltke's plan to concentrate on the Russians with the majority of the German forces commited to that front whilst enough is send West to keep the French at bay. Hopefully the French would sit tight and not commit any large scale operations to see if they're able to penetrate the German defensive line of Forts as this would spell disaster and Germany would have to fight both fronts at once. The Pacific squadron under the command of von Spee who once he gotten the message Germany found itself at war with France didn't hesitated as immediately engaged a French fleet who he was already tracking for a few days. Sinking 4 ships out of the 7 total marking them the first casualties of the war. The German Armies deployed in East Prussia. The Russians made the first move and immediately invaded East Prussia from the South via Loetzen and Goldap. General von Hindenburg predicted they would at least commit a full army led probably by either Rennenkampf or Samsonov to attack Koenigsberg right away. This led to a quick drawn up plan to move the 8. Armee and the 3. Armee with the support of a Reserve army located further west into the area of Masuren leaving enough forces inside of Koenigsberg for a capable defense. The 1. Armee and 2. Armee would then engage the forces in Goldap closing the way east for any Russians that would have headed up to attack Koenigsberg. As predicted it was Rennenkampf who immediately went for Koenigsberg and attacked. This was stopped by the more then capable defenders under the command by von Moltke himself. Suprisingly it was Samsonov who made a more bold move and attacked the larger 1. Armee and 2. Armee in an attempt to prevent them for going to Koenigsberg to relieve the defenders from the attack by Rennenkampf. A slight miscalculation by Samsonov as the 1. Armee and 2. Armee are the largest and best equipped with lot of heavy and medium guns they would bring to bear in the defense. This gave an excellent oppertunity for the German to score some decisive victories over the Russian forces in East Prussia. 1. Armee and 2. Armee would now go on the attack and deal a devastating blow onto the forces under the command of Samsonov while the 8. Armee and the Reserve Armee would attack Rennenkampf's forces in the rear whilst the 3. Armee would engage the forces that remained in Galdop whilst clearing Loetzen. In the battle that followed in Gumbinnen von Bülow managed to deal a decisive blow having the Russians suffer about a 25.000 casualties whilst keeping his own just under 9.000. Samsonov's forces where forced to retreat to the East towards Wladislavov. At Koenigsberg a more aggresive stance was adopted by the defenders and engaged the forces of Rennenkampf with succes as Rennenkampf pulled his forces back as he seems to become aware that if he didn't he would be trapped and surrounded by Germans on all sides. In Goldap the Russians where caught by surprise finding themselves completly outnumbered, outgunned and outwitted by a brilliant General. Hindenburg who was moving his own 8. Armee up North towards Koenigsberg ran into the army of Rennekampf who was moving South to escape what followed where 2 swift skirmishes resulting in victories for the German commander but not decisive to deal Rennenkampf and his troops a finnishing blow. Failure on the German part allowed him to escape back into Russia. 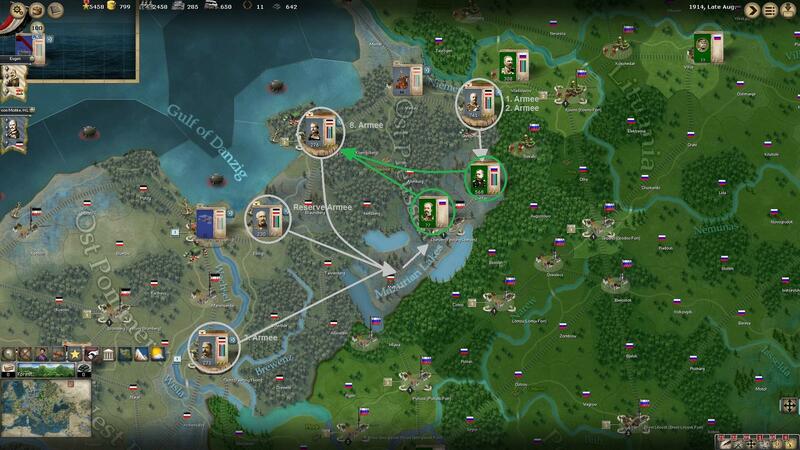 With the Russian lines shattered it was time to act with an immediate counter attack. The 2. Armee with the help of II and IX Korps would enter Wladislavov and go for Kowno. The 1. Armee with the help of VII and X Korps would go into the forest area of Suwalki to attack Grodno on the South. Samsonov however seemed to be angered by his defeats and it showed in the more reckless move he made next as he pulled in extra forces that where stationed in Wladislavov into what was left of his and attacked the 2. Armee under von Bülow in Gumbinnen whilst they we're about to move into Wladislavov but with the help from General von Hindenburg who oversaw the battle it resulted in that General Samsonov would have write another defeat on his name. It wouldn't be the end of the streak of defeats Samsonov and his men where suffering as the 2. Armee followed the retreating Russians into Wladislavov and another battle was fought and again the Russians where forced to retreat. Alexander von Kluck led his forces into the forest area of Suwalki and caught Russian forces who where probably regrouping or resting after the defeats they suffered in East Prussia by suprise and delt another blow onto them, one would almost feel pitty for these poor souls who are led so poorly by their commanders. With failure of having a proper plan the Austrian-Hungarian forces participated in helping the Germans in attacking the Russians from the south of Warsaw and eventually link up with the Germans in the capture of Warsaw. The 1. Armee would move from Krakau to Rzin South-West of Ivangorod, the 3. Armee would move from Przesmyl via Rawa Ruska into Lubieszow and from there to move towards the city of Warsaw. This however quickly was wiped of the board as it appeared the Russians have dedicated a substantional amount of forces in the assault on Lemberg. Russians led by Pavel-Plehve attacked Lemberg with over 150.000 men this however was met with an equal amount of Austrian forces led by von Böhm and the attack was repelled however an second attack which followed shorty after and saw the Russians bring in extra forces from reinforcements theyforced von Böhm to retreat to the West abandoning the garrison of Lemberg to fend for themselves. The 1. Armee and 3. Armee where pulled back from their innitial movements towards Russia and redirected to come to Lemberg and organize a quick counterattack to throw the Russians out. As Russians forces where reported to be around the North East of Lemberg the 3. Armee would deploy itself just North of Lemberg and repel any attack that would come from that dirrection. The 1. Armee would be in charge of the counter-Attack and hopefully with the help of the garrison units. However the Russians started the full assault sooner then the Austrian Military command anticipated and they where crushed under the weight of the Russian forces that where commited to this assault. 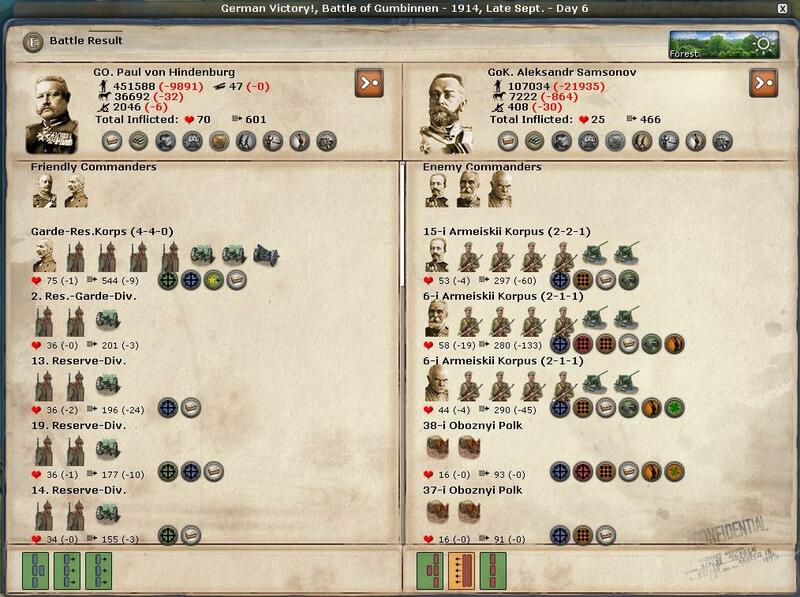 Their victory and capture of Lemberg was short lived as the 1. Armee arrived supported by the 3. Armee and its commander making short work of the worn Russian forces who desperatly needed some rest after 3 heavy assaults on Lemberg giving it all they had. 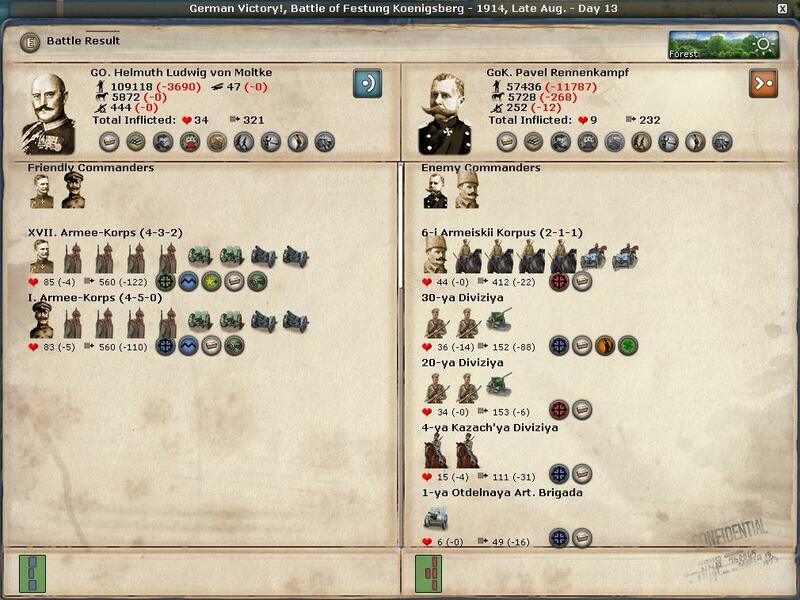 Pavel-Plehve pulled back to the east and Lemberg fell back into the hands of the Austrians. This however wasn't enough with von Böhm back in Lemberg he ordered that the Russians would even be pushed back further and preferably out of Austria and thus a quick counter attack in Zloczow was the result and he succeeded in pushing them across the river back into Russia. The Turks finally cried out for a jihad against the British Empire with their main goal to reclaim Egypt whilst helping their German allies take on the Russians in the caucasus. In return Britain made it official that it's in a state of war against the Ottoman Empire and Germany stating that it'll find 3 Great powers to match theirs. Expected as it was by the Germans this brings a new approach when it comes to the wargame at sea as Germany stands against a naval giant who has ruled the seas for too long. Worried as kaiser may be, the admirals and captains are looking forward to the challenge. 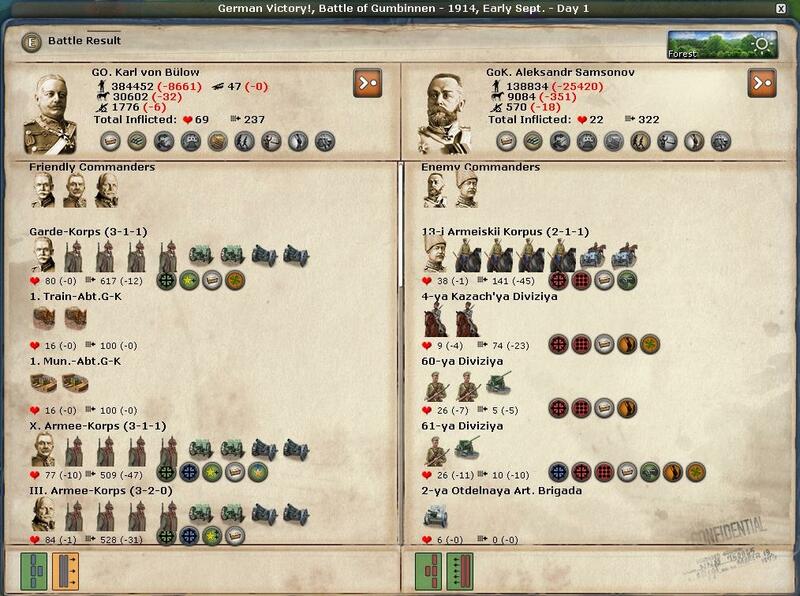 With the Russians being pushed out of East Prussia the German high command under von Moltke ordered an counter offensive with the objectives Kowno and Grodno in mind. Their fortifications prove to be of strategic importance as one provides extra protection from any invasion into East Prussia from the East whilst the other is right on top of a rail junction which will be usefull in any long term offensive operations in the future. The 2. Armee under von Bülow started the attack early october, the first engagement was on a large scale both sides brought in about over 200.000 men into the fight and the losses on both sides where high. To avoid a battle of attrition von Bülow telegraphed Hindeburg for aid. The 8. Armee moved into Kowno and von Hindenburg immediatly struck the defenses with swift assaults over 2 days dealing decisive blows and fortifications traded ownership becomming part of Germany in the early days of December. 1. Armee under von Kluck who headed for Grodno from the North had to divert it's attention more to the West of Grodno as Russians under the command of Samsonov where located in the forest, the VII, X, XVII, IV and the Garde Corps who where advancing towards Grodno from the West supported the attack. The woods of Osewiecz became a place where over 15.000 Russians died trying to fight their way out before they would be crushed under the attack from both sides. The fort of Grodno find itself under siege but as of yet no progress has been made in it's capture. Later in the month November Japan declared war on the German Empire, it seems the diplomatic mission of the British caused them to join their side in promise of new territory to expand their Empire. One day this decision will backfire upon them the Kaiser told in a speech after the news that both nations found themselves at war with one another. In the Pacific immediatly after the declaration of war of Japan von Spee found himself on the other side of the hunt as a Japanese fleet of considerable size was chasing them, unfortunately it came to a quick engagement and the SMS Nürnberg was sunk with loss of all hands. von Spee sailed to the West to a naval base in one of the German colonies in Africa for repair. Despite the German successes the aging von Moltke was forced into retirement after a ongoing disagreement with the Kaiser. This comes ill timed with the morale soaring so high with the men and their commanders at the front. von Falkenhayn is to replace von Moltke as the Chief of the German Army. After Lemberg was secure the Russians swinged more the west heading to the fortifications of Przemysl. With Brudermann's 3. Armee left for the defence of Lemberg it was up to the 4, 7, 11 and the 14 Korps to defend the fort from the Russians that where heading their way. A German unit from Koenighuette reported to be on their way to help the defending forces by deploying themselves behind the enemy once they've started their attack on Przemysl. 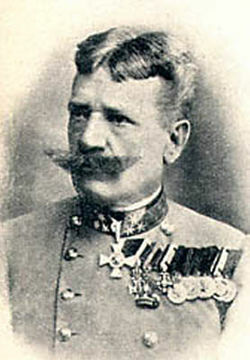 The Russians attacked in late October it was led by Aleksei Evert. von Österreich who took command of the defence managed to beat back the initial assault but as it became clear at Lemberg the Russian commanders aren't shy in keeping up the presure no matter the cost of lives when in early November after battle after battle there was a brief moment of panic. However the Russians started to show signs of losing spirit and in the futile assaults Aleksei asked of his men that ended up them being mowed down by the thousands. To make matters worse for the Russians the 10 Korps under Meixner and a reserve infantry division with cavalry support under von Woyrsch managed to close of the supply route up north of Prezmysl. Late November saw a decisive blow delt by the defenders of Przemysl and the russian break out up north in Jaroslaw failed as well causing them to be trapped between two armies for the duration of the winter. Von Falkenhayn was meeting with the german military staf and high ranking officers to discuss a grand planned offensive against the Russians by spring the same year. However before something solid could be put down on paper the French attacked at Metz and did so with succes as they managed to throw out the army under von Württemburg who retreated North to avoid being overrun. This shook the German Military High Command as while they expected the French to make their move sometime this year they didn't expect it to hit so early and in a scale the Germans underestimated the French being capable of thus never have there been made any effort to increase the size of the defending armies in the west, everything was focused on the offensive operations in the east. It became a more severe problem when finally after recon flights and observers trying to paint the total picture of the French offensive it's been estimated by some that the total amount of men being thrown by the French into this offensive could be well over a million. Von Falkenhayn ordered von Hindenburg and his 8. Armee to head West to push them back into France and make sure they'll never set foot in Germany again. This ment that a large scale offensive planned against Russia is put on hold untill the Western crisis is resolved. Whilst a offensive was out the Germans in the east would keep the Russians busy to avoid them being able to regroup, reorganize and rearm to pull of an offensive of their own as it could spell disaster if they would break through our lines in the east as well. When Hindenburg finally arrived in Lorraine whilst picking up extra men and guns to strengthen the 8. Armee the 4. Armee and 5. Armee where ordered to prepare to attack Metz from the North and Hindenburg would push in from the North east. The counter attack began in late April by means of a swift infantry assault and the attack made good progress having the fortifications in sight but it came to an abrupt end when they saw the French in the thousands which lay in wait for the Germans to come close. 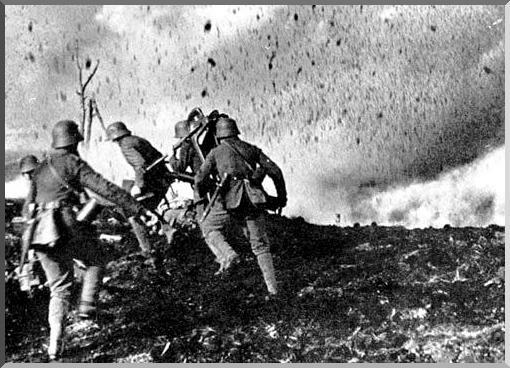 The battle was quick and the Germans where forced to break of the attack. Hindenburg suprised and shocked that the French had concentrated such a large numbers around Metz decided to immediatly attack again the same month to bluff the French that the Germans where there in numbers too. Before the attack began the Germans used their heavy guns on the French entrenched positions before sending in the troops. Hindenberg focused this time on a much smaller and weaker position but still the French wouldn't give in and break from their defensive positions. Instead Hindenburg alarmed as intel arrived that the British have reached close to Metz he pulled out moving North and urged to Berlin to focus everything Germany produced for the war to be send West as he puts it ''if the French break through in the Rheinland it'll be a catastrophic event that'll decides the outcome of the war and it will not be in Germany's favour''. In Austria-Hungary the threat of losing Przemysl was gone as the Russians where pushed back and being delt some serious blows. von Krasnik commanding the 1. Armee managed to enter Dubno and lay siege on the fortifications this wasn't what was ordered by the Austrian High command in Vienna but it seemed to have positive effects as the Russians seemed concerned if they would lose this strategic location as it being the center of the 3 large fortificated towns of the Volhynia region. The desired effect would be if the Austrians would manage to push the Russians West of these fortifications up and over them and then create a firm foothold for any upcomming attacks whilst hoping still to reach out for the Germans up North forcing the Russians to pull out before being completly cut of in the west and thus clearing the danger for Germany to be attacked the road to their capital is the shortest. Whilst the Austrians where relieved as the Russians where in a bit of a disarray and didn't manage to pose much of a threat it came like with the Germans from the other side of their nation. At night they crossed the Sava and waited on the banks near the fortifications of Peterwardein and attacked at dawn defeating the 5. Armee under von Frank who retreated to Novi Sad in the North. Von Österreich most displeased by this retreat and leaving Peterwardein in the hands of the Serbs did see hope as in April the Bulgarians whos wargoals had been recognized earlier in March declared war officialy this month, having prepared they could enter Serbia on the moments notice with 2 armies and more underway from the east. This however ment that Greece who no longer could stand by decided to side with the enemy and declared war shortly after the Bulgarians. This wasn't much of a concern since the Greek army wasn't large enough to become a serious threat but granting acces now to enemy troops from the larger nations they could provide a jumping board for the armies of Britain and France to attack Austria-Hungary, Ottoman Empire and Bulgaria it could become one thus spies are being send to be on the look out for any activity of the sort. Late April saw a counter attack by von Frank to recapture Peterwardein but it wasn't succesful as the Serbians held and forced von Frank to retreat again back into Novi Sad and thus von Österreich ordered the 6. Armee under Potiorek to leave Sarajevo and head North. With the Bulgarians attacking Serbia from the East it'll be just a matter of time before the Serbians find themselves stretched thin to cover both flanks. Well done sir! I quite like all the screenshots and pictures. Well done! Very good AAR so far. Will you isolate Greece or invade them? Jinx wrote: Well done sir! I quite like all the screenshots and pictures. Well done! 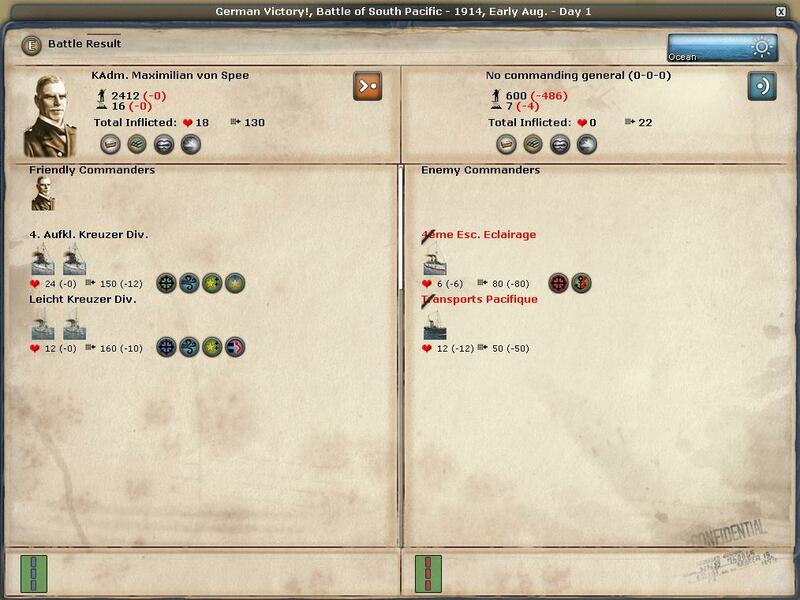 Field Marshal Hotzendorf wrote: Very good AAR so far. Will you isolate Greece or invade them? Thanks, my initial plan to tackle Greece is to just keep it in isolated by the use of some Bulgarian and Turkish Corp units. I recently acquired the French agent 'Bolo Pasha' and plan to use it to keep an eye out on Greece. I'm not sure if the AI ever used the territory as a jumping board* but if there are signs of foreign troops landing there then I'll be planning an invasion. *In a PBEM game playing the WE when Greece joined the war on our side I used it as a jumping board to attack the Ottoman Empire with some British and Anzac units. Very good. However, you might consider an all out attack on Greece very quickly and decisively. 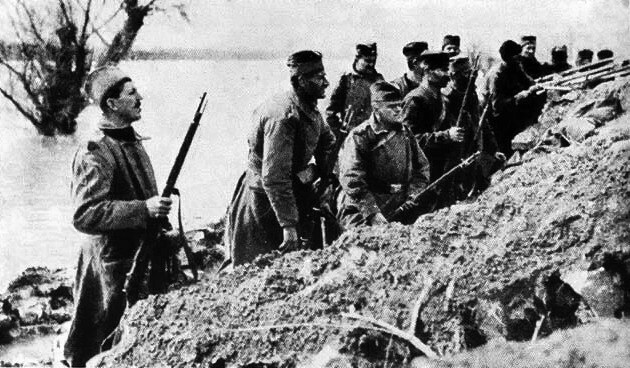 The Greek military should be pretty weak right now and a well coordinated attack from the north from a large Bulgarian Army supported by elements of Ottoman, Austrian and German units could possible 'blitzkrieg' through Greece in a matter of weeks. This would secure your southern flank and be much harder for enemy allies to get a foothold there. A small force then could be left in Greece to detour any invasion while the bulk of the Bulgarian Army could then be sent to the Russian front, or even do a surprise invasion of Romania before they are ready for war. Just a thought perhaps. Always fun to discuss this stuff! None of the German chief of staff could've predicted the effect of the humiliating defeat the French suffered during the war of 1870 being fired back upon them in the huge offensive the French have initiated to retake what they lost. At Metz which was held by a German garrison numbering just under 20.000 came under a large scale assault yet they showed defiance to surrender till the very end inflicting huge amount of casualties upon the enemy. Thinking the French would need a moment to take their time to regroup was a mistake by Hindenberg's part as forces under Lanzerac numbering over 600.000 men immediatly continued the advance and attacked the German forces in Thionville and managed to yet again beat the Germans who moved out towards Saar where they regrouped, Hindenburg planned to counter-attack in order to retake Thionville before another fort would fall at the hands of the French. Whilst Hindenburg's forces where regrouping the French attacked but this time where beaten thinking this could be a the moment to strike back and retake Thionville Hindenburg ordered to attack but this time the French managed to hold and forced the Germans to call of the counter-attack after 3 days which resulted in large amount of casualties without gaining ground in the area of Thionville. It didn't stop there as Strasbourg as well became the scene of battle not in the favour of the Germans but they under the command of von Heeringen didn't pull out and remained in Strasbourg. It became clear to Hindenburg that the army organization in the west is weak as result of having too many smaller corpses detached from Army leaders who found themselves with a problem of communication when engaged with the enemy in battle. von Falkenhayn ordered the smaller groups to be attached to the excisting 4. Armee , 5. Armee, 6. Armee, 7. Armee and created a new 9. Armee which will first have to be brought up to strenght by new recruits. It paid of immediatly as von Heeringen's 7. 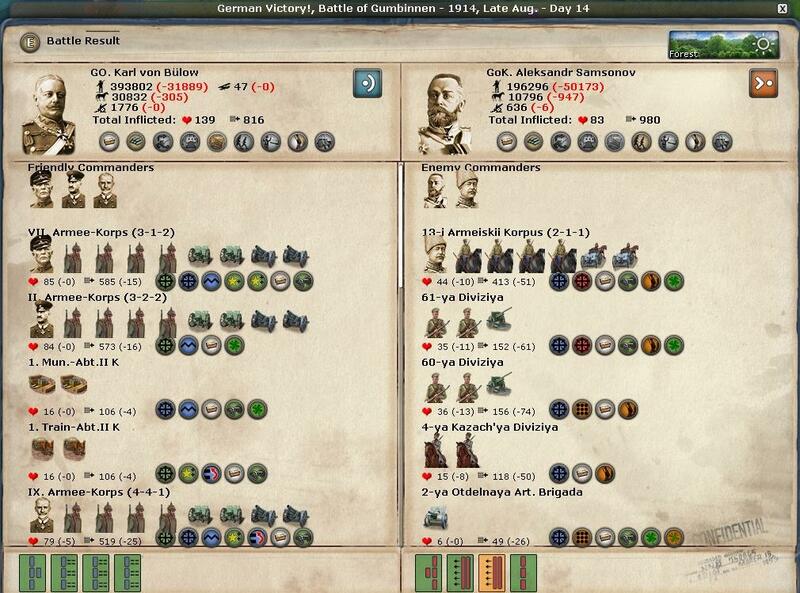 Armee with the help of von Bayern's 6. Armee destroyed the French forces under Ruffey who thought one final assault would push the Germans who he thought weakened out of the area. In the East, an Eagle takes command. Whilst the Western Front is desperatly in need of new supplies to deal with the French offensive in the east things have been small but progress is being made. Stationed in Wilna von Bülow gave orders to the III Armee Korps to attack and secure his right flank from a Russian unit in Oshmanye. Moving North they engaged a lost Russian Division who go seperated from the rest with the retreat earlier this year when the forces of Bülow pushed the Russian across the rivier Vilia when his army took Wilna. When the attack began in Oshmanye it seemed that the commander identified as Artamonov got help from the Russian forces across the Vilia but von Bülow predicted this to happen unleashed his attack on their flank inflicting heavy casualties among the Russians. Further down von Kluck started his offensive to cut the Russian supply lines by taking Bielostok and Brest-Litovsk which both are the large railway hubs that bring supplies to their forces in and around the cities of Warsaw and Lodz. The initial attack showed that the Russian had been reinforcing the area around Bielostok to prevent this communication line to be cut of from their forces in the west. von Kluck pressed on the attack and managed to push them out and before the Russian commander Scherbachev could regroup kept up the pressure harrashing his forces whilst moving steadily to his second objective the railway hub of Brest-Litovsk. The Russians seems to be in total chaos as Lodz fell in the hands of the German reserve units which where told to advance when intelligence showed the Russians where pulled out towards the East and Warsaw became under siege by the 3. Armee under von Hausen. It even got better in July as news arrived that the Czar himself has taken command of the Russian Army, this will have serious consequences not in their favour as his cousin the Kaiser himself was overjoyed with this news and couldn't help but laugh out loudly when he was underway to meet the general staff reported his chauffeur. Von Brudermann having being informed of von Kluck's plans had given the order to advance and attack the railway hub and the forts of Ivangorod. His first move was to neutralize the fort of Zamosc which when cleared opened the way towards the town of Lublin located east of Ivangorod. The fort itself proved to be more formidable and Burdermann decided to have the 7. and 10. Korps commanded by the twins Meixner to keep that fort under siege whilst he himself moved north to capture the railway line in Crasnik. Early in June, Brudermann attacked with the help of the 4. Armee Korps attacked Lublin which was defended by Russians unders the command of Samsonov and after short battle saw them pull out to the North across the Wiepr. Soon though after the Austrians where getting settled and started their Siege on Lublin it got attacked which came as a suprise but was in the end repulsed and the Russians where forced again to pull back. At the end of the Month it came as no surpise but still at a most inconvenient time the Italians Officially declared war at the promise of chunks of the Austro-Hungarian Empire. Von Appel and the 15. Armee Korps was dispatched with his mountain troops to defend area of Tirol and Carinthia from the Italians. In Serbia things aren't looking good for the Serbs, as finally kicked out of Peterwaidan and the Austrians threatening to surround Belgrade they decided to abandon their capital leaving who couldn't do so to retreat inside the Belgrade fortress and the rest moved across the Morava to regroup what's left of their armies in the forest of Smoljivac. Enver Pasha deployed the 3th and 4th army with the help of VII, IX and X corpse in the attack through the Caucasus, the first victory was at the foritified town of Kars which they swiftly captured without any resistance of the Russians. It seemed that the Russians pulled a lot of forces away from the Caucasus for the purpose to strenghten their numbers against the Germans and Austrians. It wasn't untill the fortified town of Erevan where the Turks finally met the Russians in battle. The first attack caught a Russian cavalry division of guard and quickly withdrawed but then the Russians under Vorontsov-Dashkov counter attacked and beaten the 4th Army in battle. Enver Pasha Ordered the 3th Army to leave Kars and help in Erevan which they did with succes. The Turks also advanced with the Bulgarians into the Greece, the 1st Army under Sanders Pasha and a Reserve Bulgarian unit under Savov moved into Greece with the Greek commander Danglis on the run but eventually the Bulgarians who rapidly moved ahead of the Turks got into trouble as they got stopped by the Greeks who turned around and decided to make a stand in the battle for Kilkis. I have faith in the Bulgarian's. They will push through to Athens! Why don't I take comfort in that it is being said by someone named Hotzendorf. - You got me there. It would be of get help if you did take the Suez Canal. The British will freak out! Great AAR keep them coming. Fur Kaiser und Reich! How much advantage are you giving to the AI in options (the AI seems pretty aggressive)? How intensive is your sub warfare or are you trying to keep the Americans out for as long as possible? Are you pretty much neglecting the colonies and concentrating solely in the European/N. African Theater? Who are you currently courting in the diplomacy game? Keep up the great work, I enjoy your writing style! Suidlander wrote: Great AAR keep them coming. Fur Kaiser und Reich! veb_yw wrote: Bravo Great AAR! 1:How much advantage are you giving to the AI in options (the AI seems pretty aggressive)? 2:How intensive is your sub warfare or are you trying to keep the Americans out for as long as possible? 3:Are you pretty much neglecting the colonies and concentrating solely in the European/N. African Theater? 4:Who are you currently courting in the diplomacy game? 5:Keep up the great work, I enjoy your writing style! It's a difficult task indeed, Russia is a lot of ground to cover and I've unfortunately neglected the Western defences for a bit and it came at a price. 1: The AI aggresiveness is set to normal, Sergeant Dificulty, no activation or detection bonuses but I give the AI more time. 2: I'm keeping America out of the war as long as possible (currently they're 97% CP), with the Czar taking control I try to hammer the Russians very hard to make them spiral into a revolt as soon as possible so I can focus all of my forces to the Western front and I want to delay America giving them support by that time in Financial and War Supply before eventually joining their side. So my naval actions are limited to attempts to intercept the Russian navy in the baltic and sometimes set out a lure with my high seas fleet see if I could gobble up some of the smaller cruiser fleets of the RN. 3: I'm still holding all my colonies so far, a few skirmishes in Southwest Africa in which I beaten the South African forces again and again resulted eventually in the South African Army to retreat back to South Africa after I fired of the third Boer war event. In Qingdao I held of the Japanese attack and they haven't bothered to assault again nor are they blocading it with their navy as they went after von Spee a few turns back. 4: After having brought in the Ottomans and Bulgarians on my side I am just trying to counter the Entente's courting of nations to their side like the US and Romania delaying them as long as I can but Romania is very close to the Entente so they'll be joining the slaughter in a few turns me thinks hopefully by that time have given the Russian a decisive beating so I can give the Romanians a quick trashing with the Bulgarians using the Austrian and Bulgarian armies. so am installing the updates manually doing about 30 a time and reboot but it costed me the whole night. Being pushed back from Thionville after the failed counter attack earlier this month von Hindenburg expected the French to come again to try to break through in Saar this was confirmed by reconnaissance flight who spotted in the brief moment of peace that the French where building up and showed feverish activity of movement on the ground in preparation for an larger and more determind offensive which included a large number of British troops and guns. He ordered defensive position to be build, reinforced and improved to withstand large scale offensive the French are about to unleash upon them. 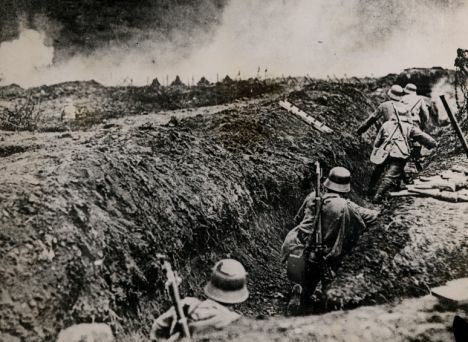 It began in the last week of June, a swift but fierce bombardment initiated the first attack on the new German positions and when the Germans where able to get out of their dug outs to take their positions to defend their lines they saw nothing but waves of French and British soldiers comming at them. For hours the fighting continued with inital successes for the French as they managed to capture some of the forward trenches and positions but eventually with German using new tactics using smaller groups to be more swift and mobile managed to harass the by now exhausted French and British infantry from all sides driving them back recapturing some of the initial lost positions. The French and British however managed to hold a large portion of their initial successes an this ment they where to stay for a while longer which von Hindenburg and his fellow army commander would've rather avoided. This was going to be a struggle of attrition and the question on both sides was which side will hold out the longest? The following days saw smaller skirmishes and continuing bombardment of key position which kept the casualties rising on both sides but early in the morning of July the 1st saw the Germans initiate a large scale attack which was to retake the lost positions of the previous large battle and to prevent the Allied forces to dig more sophisticated defenses. The attack was succesful and continued July the 2nd as the Germans managed to bulge into some of the French and British lines which where pushed back. The 6. Armee and 7. Armee where ordered to leave the forts of Strassburg and enter that off Saarbourg whilst the 4. Armee, 5. Armee, 8. Armee and the 9. Armee where holding the area of Saar and South of it whilst being reinforced with new recruits, guns and ammunition. The end of July saw the French giving it their best but with Germans who fear the loss of their beloved fatherland if they would give in decided to stand and rather die then taking one step back. The area of Saar was becomming as scarred as the men who fought and died in the battle as ground was turned again and again, trees turned to stumps, men dashed foward, fell back, bodies blown to pieces and crawled back but it didn't cause any side to call off the attack and kept sending in more men to the slaughter. The climax came around mid august 1915 with over 60.000 casualties on the German side and the French losses where over 90.000 men. It wasn't the breakthrough offensive they've hoped it to be as the Germans held and their grip was firm in Saar thus the French decided a last effort thinking further South in Saarbruecken the Germans where weaker there but instead Hindenburg and Falkenhayn made sure that this wasn't the case as most of the new recruits where send here to reinforce the newly formed 9. Armee. It was a decisive blow for the French and British commanders as all hope for a summer breakthrough where crushed. What was left by the French and British in Saar where being dislodged and pushed out by the Germans. Sorry, it's been a very busy two weeks at work which left me with little spare time to do turns in order to assemble some material to write another report entry about. Will hopefully manage to catch up and write one during the course of the next weekend. The siege of Ivangorod was a disaster, von Brudermann ignored direct orders not to assault the fort instead to wait for reinforcements to be dispatched with bigger guns to silence the defences. 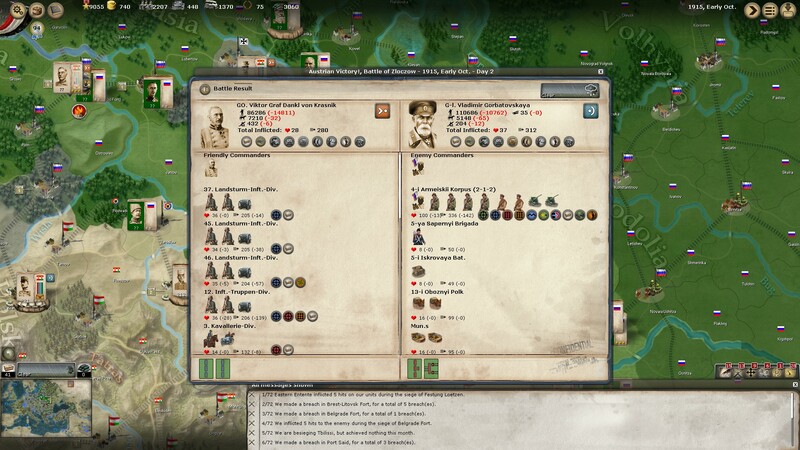 With the Russians all over the place using smaller forces harrasing the Austrian-Hungarian forces and cutting their supply routes the order was given to pull back to the original border before Winter as with the war now on 3 fronts for the Empire they can ill affort to lose an army by it being cut off. 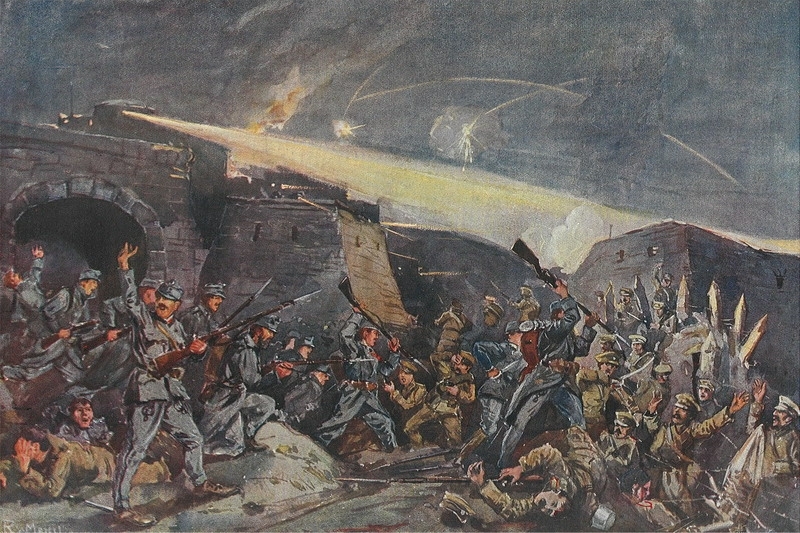 Pulling from the Russian Fort Dubno, von Krasnik's 1. Armee had an Russian army to go through before being able to move back to Lemberg. On the 2nd of October they engaged the Russian forces who blocked their way and broke through. Upon reaching Lemberg von Krasnik's army again had to attack a Russian unit under Klembovskiy who just arrived from the South East into the province. Apparently Klembovskiy had bigger ambitions then his troops would be able to handle as again it attacked on October the 17th and this time his men paid a high price for his arrogance. All except the forces of von Brudermann managed to pull back, at Ivangorod the Russians finished off what was left of Brudermann's forces. It'll be the last time von Brudermann will command an army as he received a telegram from Vienna to head to the capital to meet with the Austrian chief of staff. Then out of nowhere the Austrian-Hungarian Navy who investigated reported sightings of Italian ships near the coast of Greece by accident had its fleet sail into the French Mediterranean fleet and scored a brilliant victory over the French! Its news printed in big headlines boosted the morale of the people of the Empire both at home and the front. 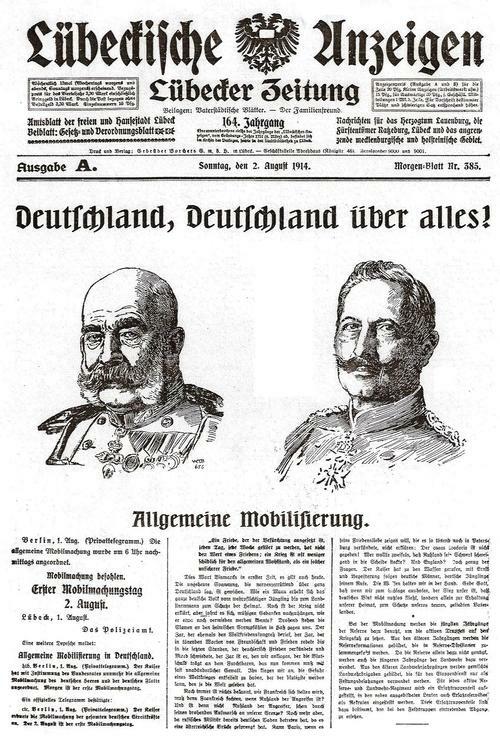 The Newspapers of the Austrian-Hungarian Empire could print more good news in big headlines as at the Italian front the victory at Laibach the 15. 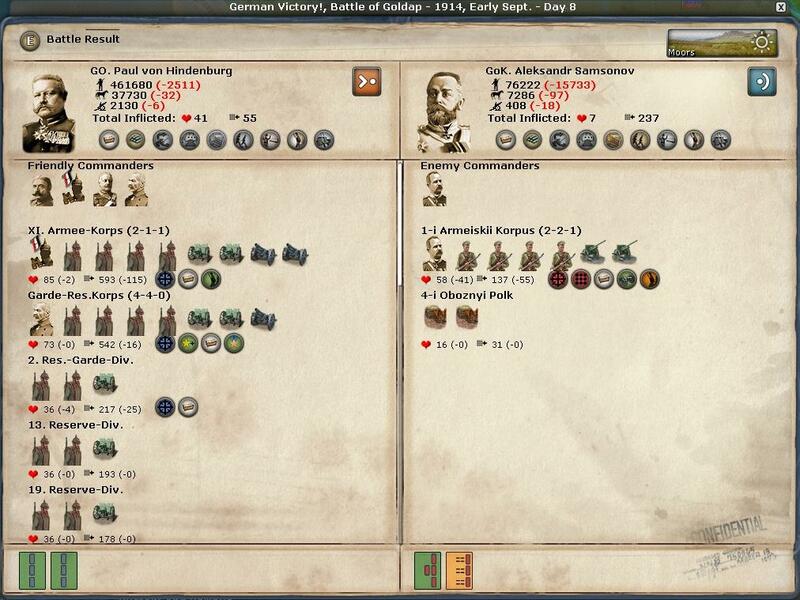 Armee Korps managed to come to von Pflanzer-Batlin's aid and crushed the Italian forces who had kept the forces of von Pflanzer-Batlin locked in a stalemate for weeks. von Appel saw action again the next month by attacking 2 seperated italian armies in Udine. Zhekov who advanced from the West towards Pitesti ran into no resistence untill he reached Pitesti itself and was defeated by the Romanian forces who managed to put down a formidable defence on their part. Boyadzhiev who commanded the centre army heading for Bucharest managed to reach the city and is currently besieging it but in anticipation of an counter attack from the West as reports come in of Romanians brining in troops and material to that location. The Eastern Army under Toshev who's objective is the town of Constanza defeated the Romanians in the forrest of Dobrudja and hopes to clear of it soon so it can advance towards its goal. In Egypt the hopes of the Turks to gain control of the Suez Canal was crushed by the British forces under Douglas, after being defeated in Qatar followed by that of Port Said the Turks are in full retreat towards the city of Jerusalem. Hi, nice AAR. Could you show us what National Morale each side has and I am amazed at how quickly Ottoman empire, Italy, and others joined the war. Glad you are back at the game, seems to be going better. I really enjoy the ebb and flow that these games seem to have. My game just completed March 1915 so I'm behind you. 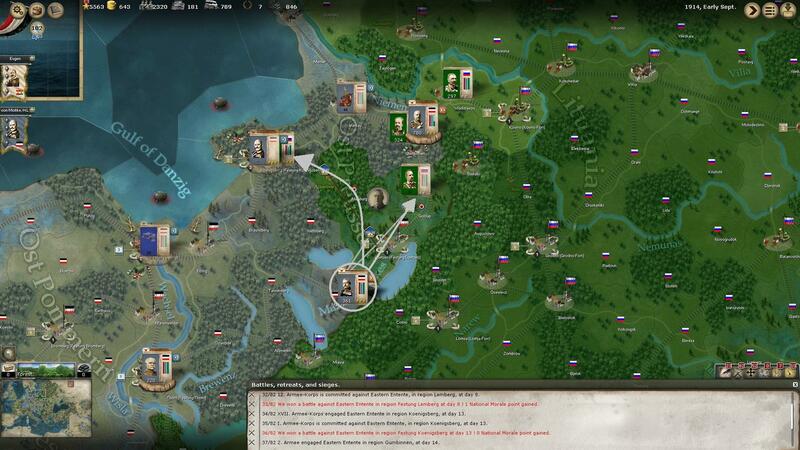 I am playing the historical campaign, CP, Lieutenant. Unfortunately, the AI has been very conservative so far. The western front consisted of France sallying troops back and forth from two points on the front and only twice launched an offensive (with only one very minor, actually it was British temporarily halting an advance past Antwerp). The other was a surprise failed counter-attack on the same turn I took a region just two provinces removed from Paris as I am trying to encircle the armies in and around Verdun. The WE just completed resetting their northern French line but so far it hasn't been too hard finding the weak spots in their line. The eastern front has been more fluid for me thanks to the historical option of concentrating on the west. 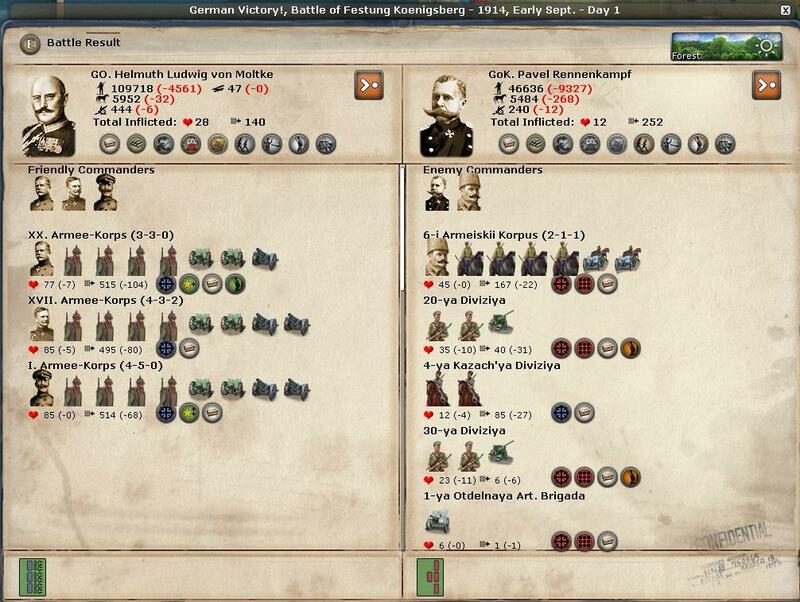 Not surprisingly, Russia has kept a megastack in Lemberg (their only real win in the east against a short-handed AH). However, just on my last turn they finally spread out a line. Unfortunately for them they established it between AH on the south and east and an advancing Germany on the north and west. I am chomping at the thought of an easy encirclement of the majority of their troops while my dash to Riga is now ready with the spring thaw! Turkey is advancing deeper into the Caucasus until and if the British attempt to venture into Palestine. Just like the WE the EE has been pre-occupied with scuttling troops back and forth from Lemberg. I look forward to seeing how the different war plans can create very different game tempos. Although I have to admit, I prefer to counterattack but have only had the opportunity in the east so far so that makes your game even more enjoyable as I can counterattack through you! H Gilmer3 wrote: Hi, nice AAR. Could you show us what National Morale each side has and I am amazed at how quickly Ottoman empire, Italy, and others joined the war. @Steathom, problem I'm having against the WE is that their stacks in a single province is just in size almost too ridiculous. It amounts to over 3000-4000 in Combat Power at times so if an engagement takes place nearby or well they advance with some they have a lot of units that can be called in by means of marching to the sound of guns and with me fighting on two fronts stretching my forces and it shows as the WE is pushing, slowly but surely they're pushing me further back into Germany so hopefully as the NM is indicating the Russian should be spiraling into a revolt soon and that'll release my men to give hopefully the WE a proper smashing and breaking those huge stacks apart. I've delayed the US enough by diplomatic means and now going to resort to uboat warfare properly and perhaps even use gas as soon I get phosgene to deal with the WE in the current situation.